Best Buy has the Pokémon: Let's Go, Pikachu! & Pokémon: Let's Go, Eevee! (Official Trainer's Game Guide) on sale for $11.99, down from $24.99. Enrich your monster adventures with this Pokémon official trainer's guide. It provides a complete walkthrough of the Pokémon: Let's Go, Pikachu! and Pokémon: Let's Go, Eevee! video games, letting you learn all the moves, locations and items to discover. 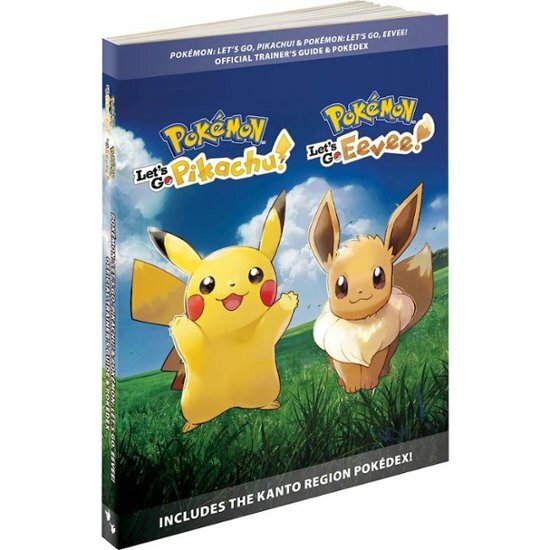 This 400-page Pokémon official trainer's guide includes the Kanto region Pokédex to familiarize you with various collectible creatures.